With every piece I make, my goal is for it to be clearly identifiable as my own and flawlessly executed. I believe that what makes my work unique is the way I combine simple, timeless forms with materials that exhibit spectacular visual characteristics, while maintaining a degree of precision rarely seen in woodworking. My exisitence has been devoted to exercising my creative abilities as well as developing and refining my skills as a craftsman. I find it greatly rewarding to successfully complete a challenging piece and to be consumed in the process of creating my work. What inspires me most are ancient artifacts, architecture and industrial components. Repetition in design always gets my attention, such as the teeth on a gear or sprocket, the scales on a fish, or facets on a crystal. My most recent works, "Artfiact Series", suggest they may have been exhumed from the ruins of an ancient civilization, posiibly made by an ancient craftsman to glorify his Gods or King. 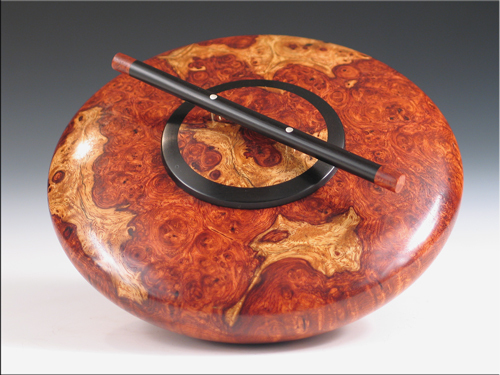 American Woodturner Magazine, Summer '08, Volume 23, "What Collectors Want"
Mark Nantz, born 1969, currently resides with his family in Colchester, Connecticut. 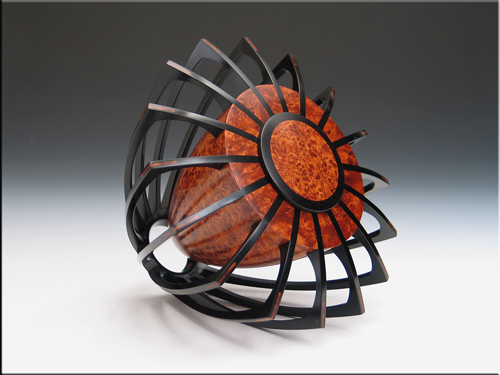 While Mark does occasionally participate in Gallery exhibits, he has been primarily showing and selling his work from both his website and at prestigious contemporary craft shows such as the Baltimore ACC Show, the Smithsonian Craft Show and the Philadelphia Museum of Art Craft Show. 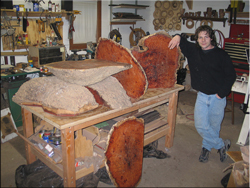 He works full time as an artist and when he is not in his workshop he enjoys kayaking and fishing on the Connecticut River and Long Island Sound, as well as photography, gardening and spending time with his children, Phoebe and Zander.